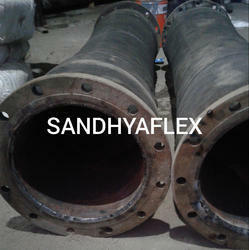 Lenght- as per customer requirement. 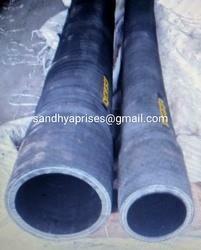 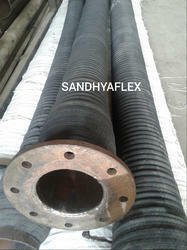 Sandhya Enterprieses manufacturer and Supplier of BULKER Unloading Fly Ash Hose as per Customer requirement. 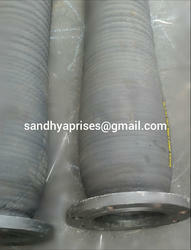 Packaging Details: Packing with HDPE Cover in Coil System. 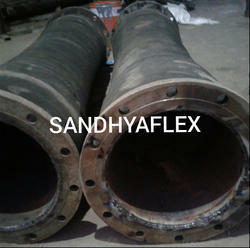 End Fitting: MS Flange as per ASA 150% ANSI 16.5 Drilled and DIN Specification. 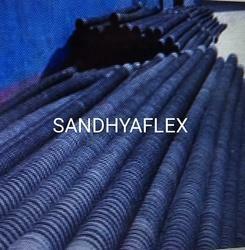 Unit Length 15 Mtr max. 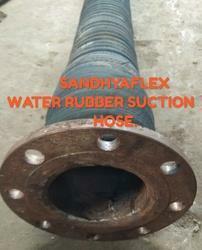 Nominal Size 3" to 12"
Sandhya Enterprises Manufacturer and Supplier of Industrial Rubber Suction Hose. 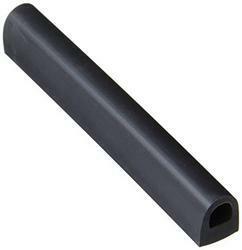 Testing Standard : IS:5137:1990 Specification. 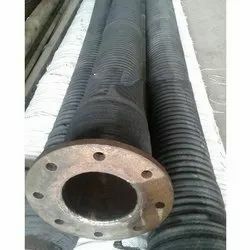 size:1).4" ID x 3Mtr (LG) with Both End MS Flange as per ASA 150#2).4" ID x 4Mtr (LG) with Both End MS Flange as per ASA 150#3).4" ID x 5Mtr (LG) with Both End MS Flange as per ASA 150#4).4" ID x 6Mtr (LG) with Both End MS Flange as per ASA 150#5).4" ID x 15Mtr (LG) with Both End MS Flange as per ASA 150#Working Pressure 10.0Kg/cm2. 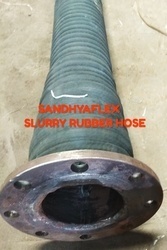 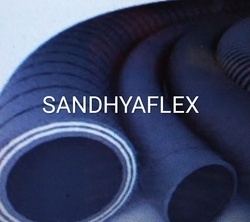 for more details pl contact ot Mr Mithilesh Chaudahry Technical Shoud of Rubber Hose Industries contact No 9652998932, email:sandhayprises@gamail.com,website:www.sandhyaflex.com, payment 50% advance balance against Proforma Invoice, Delivery 7 to 15 days max. 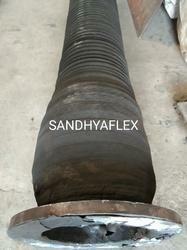 Nominal Size 3" to 5"
size:1).5" ID x 3Mtr (LG) with Both End MS Flange as per ASA 150#2).5" ID x 4Mtr (LG) with Both End MS Flange as per ASA 150#3).5" ID x 5Mtr (LG) with Both End MS Flange as per ASA 150#4).5" ID x 6Mtr (LG) with Both End MS Flange as per ASA 150#5).5" ID x 15Mtr (LG) with Both End MS Flange as per ASA 150#Working Pressure 10.0Kg/cm2. 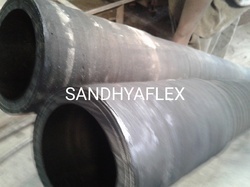 Sandhya Enterprieses manufacturer and Supplier of Fly Ash Rubber Hose for Cement Industries, Ready mix Industries and Grainites Industries. 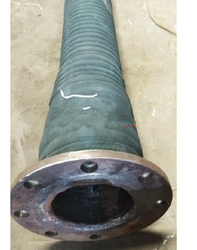 Tank, truck, Bulker loading/unloading or in-plant transfer of dry bulk cement, sand, lime, slurry etc., suction or discharge of abrasive materials. 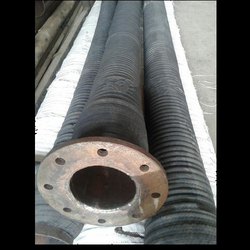 Lining: Uniform seamless tube of natural and synthetic blend rubber compound with excellent resistance to abrasion. 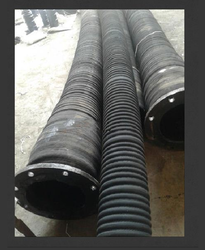 Cover: Corrugated/plain cloth marked outer cover made from natural rubber compound with excellent weather and abrasion resistant. 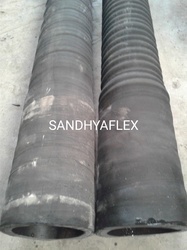 Nominal Size 2" to 12"
Sandhya Enterprises manufacturer and Suppler of High Temerature Rubber Suction Hose. 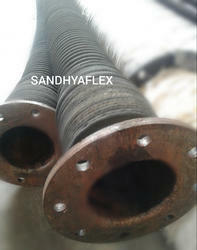 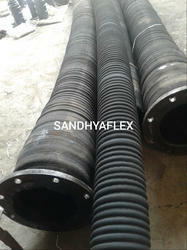 Sandhya Enterprises Manufacturer and Supplier of Rubber Flexible Suction Hose as per Customer Requirement. 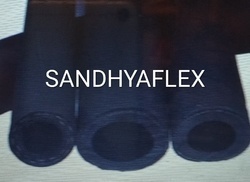 Nominal Size 4" and 5"
Sandhya Enterprises AN ISO:9001 2015 Certisfied Company manufacturer and Supplier of Fly Ash Rubber Hose with Flange with Corrugated Top both end Plain Top 150mm(LG) for Clamping Purpose, Size:4" ID and 5 " ID , Lenght 3mt to 15Mtr max, Working Pressure 10kg/cm2, Colur Black. 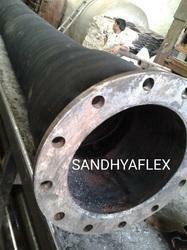 unit Length 1mtr to 12"
Sandhya Enterprises Manufacturer and Supplier of Bulkar Loading and Unloading Rubber Hose. 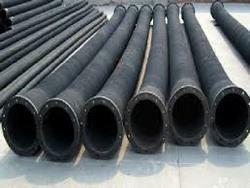 Looking for Bulker Tanker Unloading Fly Ash Rubber Hose ?